Removal tools range from winches for pianos etc to hoist them from floors above ground level this usually means removing the glass from a window to facilitate this. The use of trolleys & dolly's makes moving boxes easier and you can stack them in multiples. Tail gates on vehicles allow you to raise heavy items onto the van without having to lift them by hand. Other handy items are rolling boards with castors to ease your load, couch covers to stop stains on your settees and pallet trucks to handle pallets of items. Packing tape dispensers are a handy thing to have too, as is specialist dismantling tools for removals such as Allen keys, straps and of course a cordless power tool to stop you getting a cramp. Pallet trucks are great for heavy items, removal trucks and straps are also essential when moving lots of furniture. With and an array of other equipment such as moving blankets to help protect delicate furniture such as wooden tables and chairs, when in place on the van use moving straps to secure and stop the furniture moving while in transit. Making your move as uncomplicated as possible when moving home. 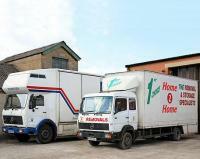 We have removal companies in every town, city and county able to help you move. 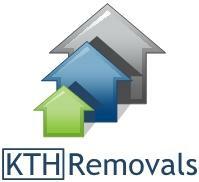 Removal boxes are great items to buy and everything is available to you online and direct from your removals company. We can connect you with the top removal companies in the UK to help you move house by getting it boxed and ready to go so its relatively simple affair to get you on your way to your new place without a problem from our reliable movers to do the work! Moving has become an everyday occurrence as people around the world move to different places each day. Our directory provides you with a great list of companies to choose from for all areas in England, Ireland, Scotland and Wales, with a good selection of removal companies that are needed to get a professional move with the necessary tools to do the removals properly. Taking on the removal firm is made easy on our website because we have a large network of moving companies, each company is chosen because they are the best money can get and their quotes reflect a good moving service to ease the load on your moving day. We know there is a lot to be done and remember when moving, so compile checklists to tick off as you complete each task. This will take you through the entire moving process from start to finish from cancelling utilities to organising mail re-direction. Single Items To Whole House Fully Insured International Work Delivery & Collection Service Free Quotes Very Competitive Prices NO EMAIL HELD FOR THIS COMPANY.